With a successful competitive career that spanned four decades, Robby Robinson is a true legend of the Golden Era of bodybuilding. It was during these years that he was christened “The Black Prince” by journalists and fans. Robby Robinson’s longevity and his continued excellence in his 40s and 50s have made him that rare bodybuilding headliner: a man who can win trophies at almost any age. In 1994, the Black Prince entered the first-ever Masters Olympia contest, where he earned first place. 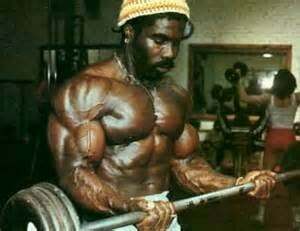 Long after most of his contemporaries had retired or reached their peak, Robinson would continue to compete, going on to win the Masters Mr. Olympia Over 50 titles in 1997 and 2000. Today, at 70 years old, Robinson continues to live the bodybuilding lifestyle and maintain a highly muscular physique. Robby Robinson was born on May 24, 1946 in Damascus, Georgia, before his family moved to Tallahassee, Florida. From an early age, Robinson displayed natural athletic gifts, and went on to participate in football and track and field at Florida A&M University. Genetically a mesomorph, Robison’s body dramatically responded to weight training, and he decided to enter local bodybuilding competitions. He won both the AAU Mr. Southeastern USA and the AAU Mr. Southern States contests in 1974, then entered the AAU Mr. USA that year, taking second place to future Mr. America winner Dave Johns. Robinson’s breakthrough came one year later. After winning the overall title at the 1975 AAU Mr. Florida, he competed in the prestigious AAU Mr. America contest. Displaying an amazing physique with only five poses during his posing routine, Robinson took second place in the medium height class before placing fifth in the overall decision. However, the young athlete managed to win the highly coveted Most Muscular trophy that night over some of the same competitors who beat him in the overall competition. This was a sport he was born to do. Already, Robinson showed some of the traits that would mark his long career: consistency and tenacity. His ambitions grew, and he decided he needed a bigger stage. Robinson moved to California to try his luck with the IFBB. He competed in the 1975 IFBB Mr. America contest and won his height class and the overall title. After Robinson’s big win, Joe Weider introduced the new sensation as the next superstar in the sport in the pages of his magazine Muscle Builder/Power. Robinson was on his way. Robby Robinson made an immediate splash in the IFBB, winning the overall title at the 1975 Mr. World contest, beating some of the best amateur competitors in the world. 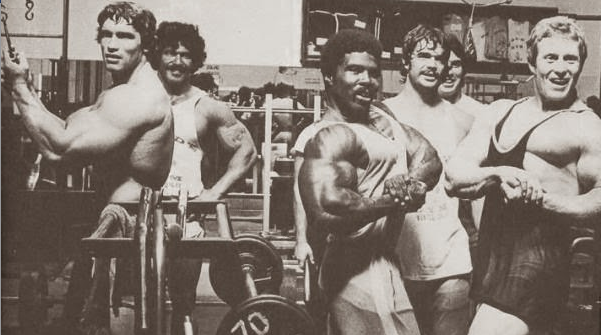 As luck would have it, director George Butler was filming the documentary “Pumping Iron” that summer at Gold’s Gym in Venice, California, and Robinson was featured prominently in the movie. Determined but quiet, Robinson didn’t generate the kind of following that other athletes developed after the documentary became a hit, but he continued to train hard and compete, earning trophies and high placings at the most elite levels of the IFBB. In 1975, he traveled to South Africa along with many of his Gold’s Gym colleagues to compete in the IFBB Mr. Universe. Robinson won the medium height class over veteran bodybuilder Albert Beckles but lost the overall to Ken Waller. After his spectacular debut season with the IFBB in 1975, the Black Prince was heralded as the new rising star of bodybuilding, destined for great things. Next year, he went out and proved the predictions correct. In 1976, Robinson won the overall title at the IFBB Mr. International contest, held with the Mr. Olympia that year in Columbus, Ohio. 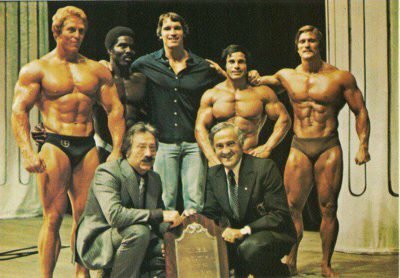 Posing for photos after the contest with 1976 Mr. Olympia champ Franco Columbu, the newcomer didn’t give away much to the newly crowned Mr. Olympia. Instead of being discouraged after losing to Columbu, Robby Robinson kept pushing. He wins the 1976 IFBB Mr. Universe in Montreal, defeating another rising star in the sport, Mike Mentzer. Although the Mr. Universe didn’t award an overall title that year, many felt that Robinson would have won the whole thing if organizers had offered it. As it stood, Robinson won the middleweight class in spectacular fashion, displaying a magnificent physique with great muscle size, shape. and symmetry. His small waist, wide lats, and high peaked biceps all gelled together to create a classic bodybuilding physique with balanced mass and aesthetics. At this point in his young career, Robinson had won all the major IFBB contests except the Mr. Olympia. He set his sights on finally taking the Sandow trophy the following year. 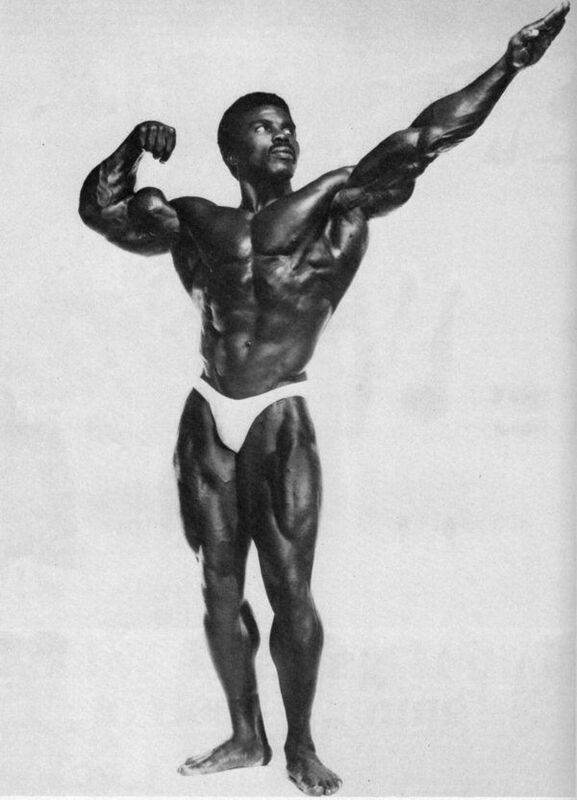 In 1977, the Black Prince was the favorite to win the Mr. Olympia contest. He trained like a monster, hitting the gym six days a week, twice a day, all year long. Muscle Builder/Power magazine chronicled Robinson’s intense training with articles and photos each month. Driven and committed, the 31-year-old seemed to grow as the contest approached, improving in both size and definition. 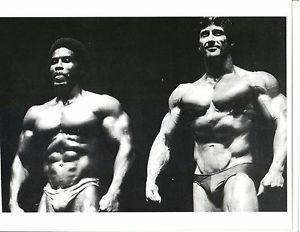 Even though superstars like Frank Zane and Lou Ferrigno were planning on entering the Mr. Olympia that year, Robinson went in as the overwhelming favorite. As often happens in professional sports, predictions proved wrong. Robinson was upset for the Mr. Olympia title by the perfectly peaked Zane. Though huge and imposing, Robinson seemed to be holding a slight film of water over his muscles, while Zane’s impeccable conditioning paid off. A runner-up the previous Mr. Olympia to Franco Columbu by only half a point, Zane had finally broken through and claimed his destiny. Undaunted, Robby Robinson competed in the first ever Night of Champions contest in New York City in 1978. Vastly improved from his Olympia condition the previous year, the Black Prince was ripped and ready, showing off his freaky intercostal/abdominal development in his side chest poses. He took the show in a landslide, beating out new IFBB pro Roy Callendar in the process. Two months later, Robinson won the IFBB Professional World Cup competition in Los Angeles, looking even bigger and more ripped than he did at the Night of Champions. He cruised to another easy victory over Calendar and Danny Padilla. 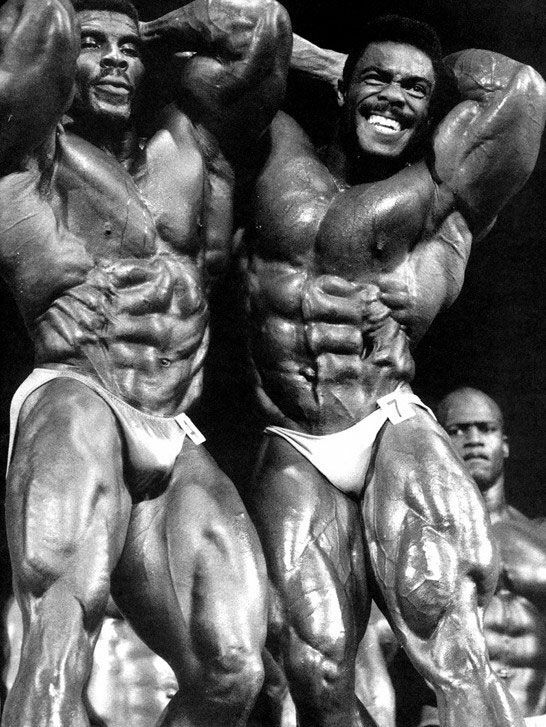 After these two impressive wins, Robinson looked once again like the favorite to win the Mr. Olympia in the fall. Unfortunately, Frank Zane had other plans. The reigning Mr. Olympia stepped onstage ripped to the bone at the 1978 Mr. Olympia contest. Though Robinson easily won the Over 200 Pound Class title, he took a close second place to a near perfect Zane in the overall decision. Though obviously disappointed with the loss, Robinson handled it with class onstage, playfully picking up a surprised Zane and carrying him off the stage in a bear hug even before the winner was announced. By 1979, professional bodybuilding had grown into a phenomenon, mainly thanks to Schwarzenegger and “Pumping Iron.” The IFBB organized a Grand Prix circuit of professional contests that would be held across the United States. Clearly established as one of the best professional bodybuilders in the world, the hard-working Robinson kept training and competing, always finishing on top or close to it. He finished second to new pro Mike Mentzer at the inaugural Florida Pro Invitational in February, but then rebounded with a series of wins at the IFBB Best in the World contest, the Pittsburgh Pro Invitational, and the prestigious Night of Champions for the second year in a row. Once again, Robby Robinson became the favorite to finally win the Mr. Olympia. But at the 1979 Mr. Olympia, he made a mistake by trying to play Frank Zane’s game. He dieted down to the Under 200 Pound class to compete directly against Zane, but in the process lost valuable size. He ended up in fourth place behind Zane, Mentzer, and Boyer Coe. 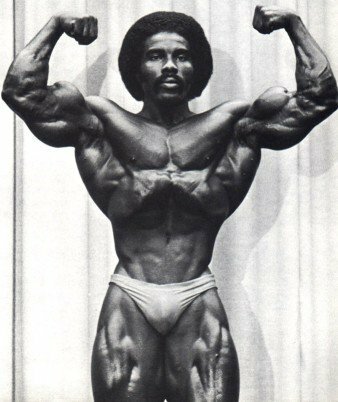 Unfazed by the setback, Robinson entered the 1980 IFBB Grand Prix circuit, though he didn’t dominate like he had the year before. He placed second to veteran bodybuilder and new IFBB pro Chris Dickerson at the California Grand Prix, but placed a disappointing fourth at the Pittsburgh Pro Invitational. He took runner-up to Dickerson again at the Night of Champions in May. That fall, Robby decided to skip the Mr. Olympia contest for the first time in four years. It proved to be a wise decision, as that year’s contest was mired in controversy when Arnold Schwarzenegger came out of retirement to win in a disputed decision after only training for the contest for eight weeks. Many competitors were outraged and felt Schwarzenegger hadn’t deserved to win, with Mike Mentzer being the most vocal of critic. Perhaps affected by the turmoil in the IFBB, Robinson decided to try his hand competing in other bodybuilding federations. He entered Serge Nubret’s WABBA organization in Europe, taking second place to Edward Kawak at the 1981 WABBA World Championships in the Pro division, and then placed third behind the legendary Sergio Oliva and Nubret at the WABBA Pro World Cup. Robinson finished off the year by winning the prestigious NABBA Mr. Universe in the Pro division in 1981. As is the case with many top athletes as they age, Robinson’s performances and placings gradually suffered. He failed to place in the top 10 at the 1982 IFBB Night of Champions, a contest he had won twice before, and continued to fall short of his high standards in other contests from 1984-1986. But the Black Prince would go on to prove that he was indeed bodybuilding royalty. In 1987, he entered the Mr. Olympia after skipping it for the previous eight years. At 41 years old, ancient for a pro athlete of any type, Robinson appeared in spectacular shape, earning fifth place behind Lee Haney, Rich Gaspari, Lee Labrada and Mike Christian, the new, young superstars of the sport. He carried the momentum from the strong showing at the Mr. Olympia by placing second at the Grand Prix in Germany and France, beating out some of the current newcomers who had bested him at the Olympia, including Labrada and Christian. Now on a roll, Robinson kept a busy contest schedule in 1988, earning a strong third place at the U.S. Pro Grand Prix in Anaheim, and the World Pro Championships behind winner Christian and Brian Buchanan. Robby then won the Niagara Falls Pro Invitational over rising IFBB pros Phil Hill and Shawn Ray. Hill then beat Robinson in a very close decision at the Night of Champions contest one week later. The following year, Robinson competed in the first ever Arnold Classic competition, taking second place to Gaspari. Robby then went on to win the 1989 IFBB World Pro Championships over Gary Strydom and Bob Paris and placed second at the IFBB Pro Grand Prix in Melbourne, Australia. During the 1990s, Robby Robinson, already considered a legend in the sport, continued to train hard and compete in IFBB competitions, often beating pros 20 years younger than him. Even though he was in his 40s, his physique didn’t show any signs of aging or slowing down. He won the IFBB Musclefest Grand Prix in 1991, took second to Vince Taylor at the 1992 IFBB Pro IronMan Invitational, and third place at the Night of Champions that year. He had compiled an astounding list of accomplishments in the sport that few if any of his peers could rival. But there was one glaring omission: the Mr. Olympia trophy. By the mid-’90s, Robinson, though still a contender in many contests, couldn’t match the extreme muscularity and conditioning of contemporary stars. The Mr. Olympia was out of his reach. Then In 1994, Joe Weider announced a new contest: the Masters Mr. Olympia. It would be held with the Mr. and Ms. Olympia contests in Atlanta, Georgia, that year. 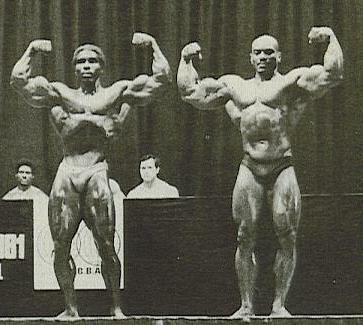 Although Lou Ferrigno was the favorite going into the contest, the Black Prince finally earned his crown, winning the first-ever Masters Olympia in an easy victory. He was 48 years old. Finally, after all these years of competing and close second place decisions, Robby Robinson had earned an Olympia title. It was a great moment, the completion of his legacy. But it wasn’t the final act. The ageless Robinson would win the Masters Olympia Over 50 division two times, as he continued to compete until 2001, when he took fourth place at the Masters Mr. Olympia at 55 years old. These days, Robby Robinson is still going strong. Now known as “Mr. Lifestyle,” Robinson truly is the embodiment of the tremendous longevity that results from a life of healthy, Golden Era-style bodybuilding. Even today, he frequently posts pictures of himself posing in ripped condition in the gym. Last year, at 70 years old, Robinson guest posed at a contest in Europe. Perhaps no other bodybuilder in history can claim the long reign of excellence displayed by the Black Prince. Robby Robinson has been a great inspiration for many generations of bodybuilders. And, has earned his place as one of the greatest of all time. Let us know how Robby has inspired your workout goals in the comments below.